Wheat germ benefits are seemingly endless. Few other foods offer the complete nutritional package that wheat germ does so inexpensively. Wheat germ is the innermost part of the wheat berry. This is the part of the plant that has the potential to grow into a new plant. It holds the most nutrients of any part of the wheat kernel. When you find wheat germ at the store you are likely to find in in three forms. Raw wheat germ is the fresh, raw product. It retains all the vitamins and minerals as well as some of the oils. Due to a high moisture content raw wheat germ needs to be refrigerated because the oils in it go rancid very quickly. 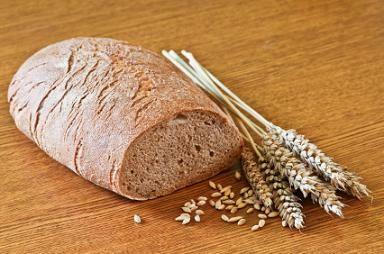 Most people prefer the sweet and nut-like taste of wheat germ that has been toasted. It does loose a small amount of nutrition in the process but not enough to make a significant difference. Wheat germ oil is the pure oil pressed from the wheat germ. It has a high amount of natural vitamin E, vitamin D, and vitamin A. It also has lecithin. There are a number of nutrients in wheat germ that can alleviate symptoms, lower risk of cancer, and protect your cells. Adding wheat germ and wheat germ oil to your diet can have a myriad of benefits. Because of wheat germ's high levels of folic acid it is an important addition to the diets of women of childbearing age. Women are often low in B vitamins. B vitamins and especially folic acid are recommended for pregnant women. A low level of folic acid in the diet is associated with increased risk of neural tube birth defects. It also enables healthy red blood cells. Fiber is important to keeping the digestive tract healthy and cancer free. Wheat germ has approximately one gram fiber per tablespoon. It is so easy to sprinkle it on cereal, ice cream, or yogurt and add it to many kinds of baked goods. Wheat germ oil can be used externally to help skin conditions like psoriasis, eczema, and dry skin. The vitamin E in the oil helps to sooth and repair damaged cells. Wheat germ oil helps to improve blood circulation to the skin which makes the skin look healthier. In the Journal for National Cancer Research (March 2005) it was reported that men who had high levels of alpha-tocopherol (as found in wheat germ) in their bodies were fifty-one percent less likely to develop prostate cancer than those with less of the substance in their blood stream. There are so many wheat germ benefits that it makes it difficult to understand why more people are not enjoying this nutritious addition to their diets. Using more wheat germ in your diet is an inexpensive way to safeguard your health.